The Philadelphia Zoo holds the distinction of being the very first zoo in the country. Opening in July of 1874, today it is spread out over 42 acres along the banks of the Schuylkill River. There are over 1,300 animals for visitors to see, including many rare and endangered species. Designed with families in mind, exhibits like KidZooU allow children to get up close and personal with rare breeds. In 2014, Big Cat Crossing opened as a part of Zoo360. Zoo360 is a unique feature that allows animals to roam along a mesh lined trail way system above visitors. You’ll be able to look up and see fierce felines like snow leopards, pumas, African lions, and more as you wander around the park. If that isn’t exciting for little ones, then I don’t know what is! The Cape May Zoo, in Cape May County, New Jersey, makes the list because of its family friendly atmosphere and free admission. Yes, you read that right – it’s free! Whether you have one child or 10 in tow, you won’t have to worry about breaking the bank on a trip here. You’re welcome to give a donation, but otherwise, you’re free to enter and explore without spending a dime. Despite that, this zoo is home to more than 500 animals, all housed in beautifully kept exhibits. Another great feature of this zoo is that it is situated on a county park, making it a perfect place for a picnic. There are pavilions, picnic tables, restrooms, and an impressive playground for the little ones to enjoy. You could easily spend the entire day here, enjoying a low-cost outing. Along with being one of the best zoos in America for families, it could be argued that the Saint Louis Zoo is the best in the Midwest, period. With so much for families to see and do here, one trip simply may not be enough. There’s the Zooline Railroad, which takes you on a 20 minute long roundtrip tour through tunnels and exhibits. Then there’s Stingrays at Caribbean Cove, where you get to not only see, but to actually touch marine life. 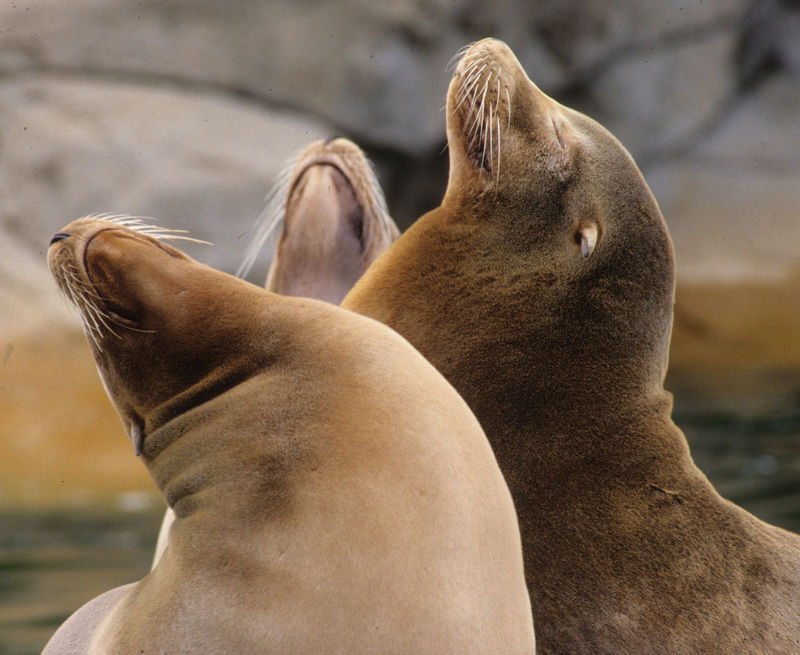 If all of that isn’t enough to convince you to come, the St. Louis Zoo also features a sea lion show, a special hands-on children’s zoo, a carousel ride, 4D movies, and nearly 20,000 animals to check out. It’s safe to say that the kids will stay busy and entertained for hours. If you really want to see and do it all, you can spread it out over several visits. The San Diego Zoo is a must visit attraction if you’re in the area. Situated just east of downtown in Balboa Park, the zoo has expanded over the years to include a safari park. Tickets can be purchased for special tours, like the Early Morning with Pandas, where kids can spend 2 hours watching the zoo’s beloved pandas enjoy their breakfast. The Discovery tour is ideal for those with little ones or older folks who prefer a ride around the park. You can sit comfortably for the 60 minute guided tour that takes small groups around 70% of the park’s exhibits. With so much to do, you could easily make several trips before you experience it all. No matter where you are in the country, you can find a family friendly zoo nearby to take the kids for a fun-filled day. They make for a perfect learning experience and offer you a chance to get outside and enjoy nature. So, do you think we got it right? What is your favorite zoo? Let us know in the comments below! The only one of these that I have been to is the San Diego Zoo, when I was a kid, and I still absolutely remember it! Zoos are so awesome to visit, you learn so much! I’ve heard a lot about the San Diego Zoo, but I have never been personally. One of my other personal favorites is Lincoln Park Zoo in Chicago. It is really a great little zoo! If you want to see a really little zoo with up close and personal encounters with the animals, check out the Gulf Coast Zoo in Gulf Shores, AL as well!